Clerkenwell Design Week saw another successful show for Knightsbridge with the launch of 2 new products, the Exit Armless Chair and Nexus Armchair. Co-ordinating with the mods and rockers theme, the Exit Armless Chair was designed in the iconic Doc Martens theme with a beautiful rich oxblood leather and contrasting yellow stitching and frame. The Nexus Armchair features a generously proportioned cushioned seat ideal for a variety of environments including breakout spaces, reception areas, lounges and bar areas. 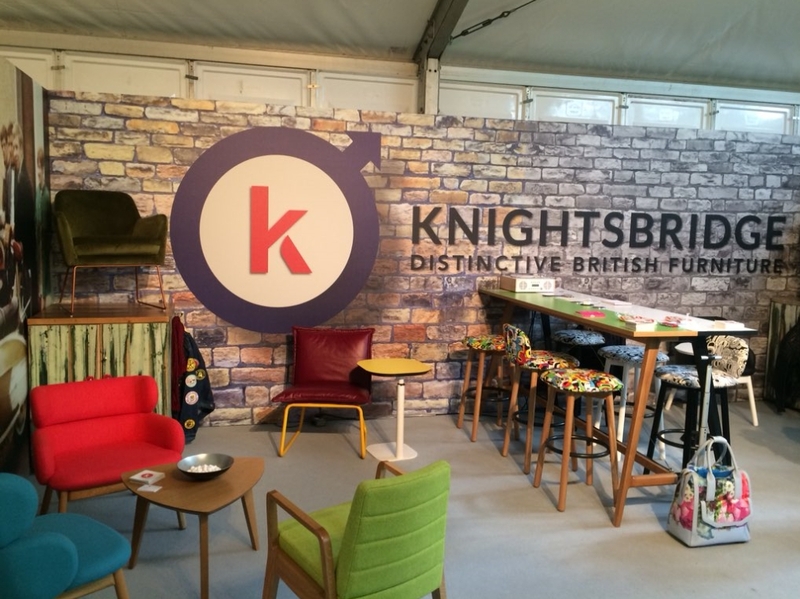 Other pieces on display from Knightsbridge’s workplace and hospitality collections including Dizzi, designed by Alys Bryan, GoGo Upright Chairs, Itsy Laptop Tables and Bebop Stools. If you didn’t manage to make it Clerkenwell Design Week you can download a copy of our Look Book online or contact us to request a showroom visit.